On June 18 in the office of TANGRA will take place a special event entitled “Energy efficiency. Innovations in HVAC systems”. This event is dedicated not only to engineers and HVAC specialists, but also to builders and investors. The topics of the discussion are related to increasing of the energy efficiency, Europe 2020 and heat recovery units for nZero energy buildings. 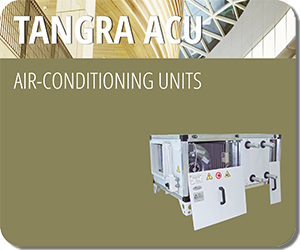 The TANGRA team will show also the new version of the selection software for heat exchangers and heat recovery units. Hygienic air handling units and air handling units with heat pump incorporated will be also presented to the guests. Events related to energy efficiency in ventilation, air conditioning and heating are held for the third year. In 2012 we started with the introduction of “Heating with pellets”. Then we presented the full range of domestic heating boilers TANGRA CL/HP as well as the boiler TANGRA CL80 (40÷80kW). In 2013 on the event “High efficiency heat recovery ventilation” TANGRA brought together colleagues from the Chamber of Architects in Bulgaria and the Chamber of engineers in the investment design. Besides the presentation of high efficiency heat recovery ventilation were referred and some problems that architects and engineers face when working together to implement a high quality and energy efficiency projects. How to choose explosion proof version fans?